You can find just about anything in Tokyo, with the heartbreaking exception of castles. Sure, Edo Castle used to sit right in the center of the city, but then the Emperor of Japan moved in, and after a few generations of rebuilding and remodeling it’s now the thoroughly modern, and almost entirely off-limits to the public, Imperial Palace. Thankfully, there’s a castle in Tokyo’s neighbor to the south, Kanagawa Prefecture. Odawara Castle is an easily doable day trip from Tokyo, especially since the Shinkansen stops at Odawara Station. If you go right now, you can catch the end of cherry blossoms season on the castle grounds, but even after the petals fall there’s another cool thing coming to Odawara Castle this month. The finishing touches are being put on the Odawara Castle Ninja Museum, as the castle facility’s history museum has been renamed. Among the new features are more extensive foreign language descriptions for the complex’s displays and videos, but that’s just the start of what makes the museum special. See, Odawara Castle used to be the stronghold of the samurai lords of the Hojo clan, who were assisted in their endeavors by the Fuma ninja clan. The new Ninja Museum highlights the connection between the two feudal era powers, starting in the Prologue area which gives visitors a historical context for how they worked together. However, things then switch to a more hands-on examination of the ninja life, as visitors are tasked with a mission to save Odawara Castle. The Ninja Experience area introduces a series of ninja skills, such as disguise, stealth, infiltration, and observation, all of which must be utilized to protect the fortress. The adventure culminates in a shuriken battle, followed by an Epilogue area that wraps up your ninja tale. 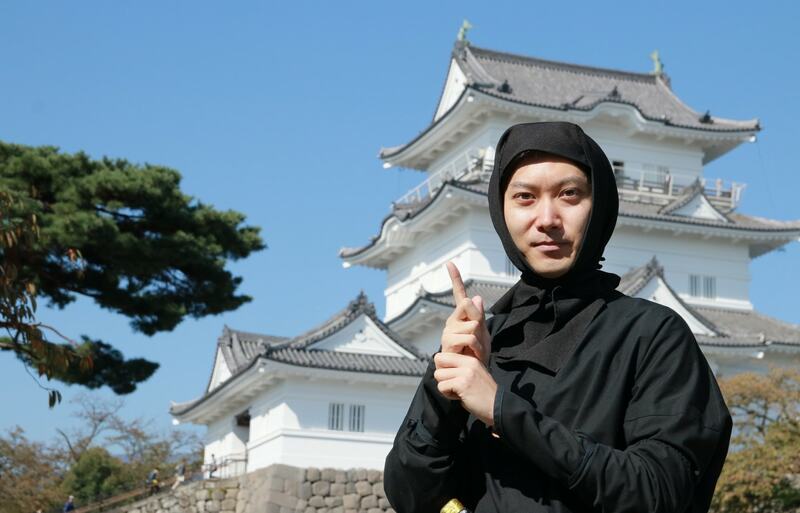 The Odawara Castle Ninja Museum, officially called the Ninja Yakata in Japanese, has its grand opening on April 20, 2019.